On Monday, the School Board honored Student All-Stars from Central Elementary School for earning the highest scores on the 2016-17 state assessments in language arts, math and science. The students were introduced by Principal Lisa Shogren. 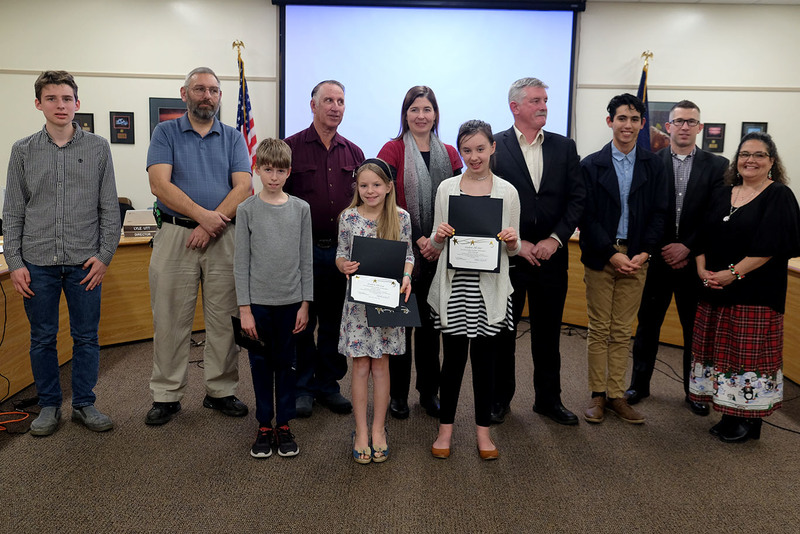 Central students are (from left): Eli Geist, fifth-grade science; Morgan Glenn, third-grade English language arts and math; Helen Whiteside, fourth-grade English language arts and math.